For your reading/viewing/listening pleasure, I present a round-up of things I’ve found to be particularly awesome recently! Hooray! First off, in a wonderful combination of Comic geekery and Kitchen geekery, there is the Wonder Woman Kitchen Aid stand mixer. Next up we have a Star Wars/Macgyver mashup. The editing on this is so well done. Seriously, if you haven’t seen the Macgyver opening in a while watch it after watching this. Prepare to be amazed. 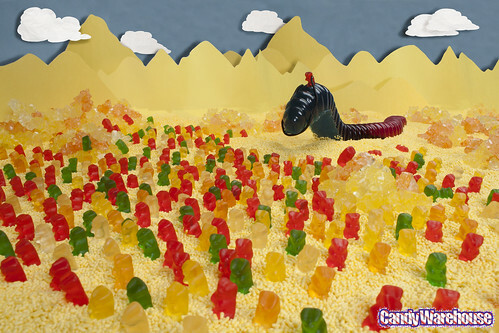 Next up, the tastiest image in Science-Fiction history, Giant Dune Gummi Worm. Found at CandyWarehouse on Flickr. And last, but most definitely not least, Amanda Palmer’s Ukulele Anthem. I don’t know what kind of magic Ms Palmer is made of, but I’ve noticed her songs come into my life at very key times. This song totally made my cry with happiness when I heard it for the first time. You can grab the song for free/donation if you can at her Bandcamp. And that’s it! What awesome things have you seen lately?